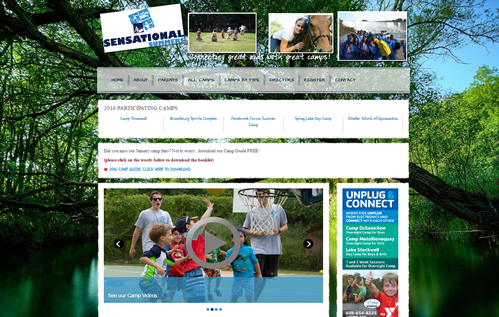 Sensational Summers is a company that runs camp fairs. These camp fairs allow parents the chance to visit camp directors and owners without having to visit the camps themselves. We have been managing this site for Sensational Summers since 2008, with lots of revisions and updates. The most recent was in September 2014. Functionality: Joomla! CMS Registration online for camps and parents editing online Complex Directory to display camps attending .